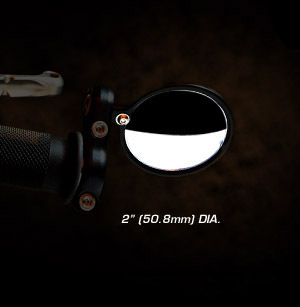 This kit contains the glass (mirror), large o-ring, 3-o-rings, stainless steel screw. 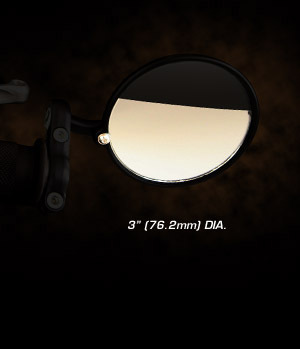 NOTE: Early model Hindsight Mirrors are identified by a 3-point glass retension design. The 3-points are comprised of (2) black delrin plastic hooks and a third delrin washer/screw hold location. If you have an early model Hindsight and need a replacement glass kit, contact our office. 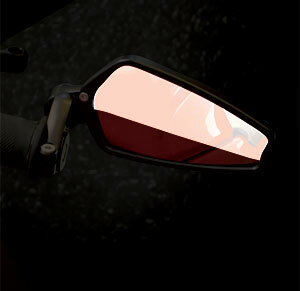 Current model Hindsight Mirrors are identified by a 2-point hold design. The 2-points are comprised of a single metal hook, (machined into the bezel), and a black fiber / stainless steel washer / screw hold. This kit contains the glass (mirror), o-ring, black fiber washer, stainless steel washer and the 3mm stainless steel screw.